Just had a Lenovo H520e Desktop PC, to replace a broken older Dell. When I opened the box I though that it had no PSU! 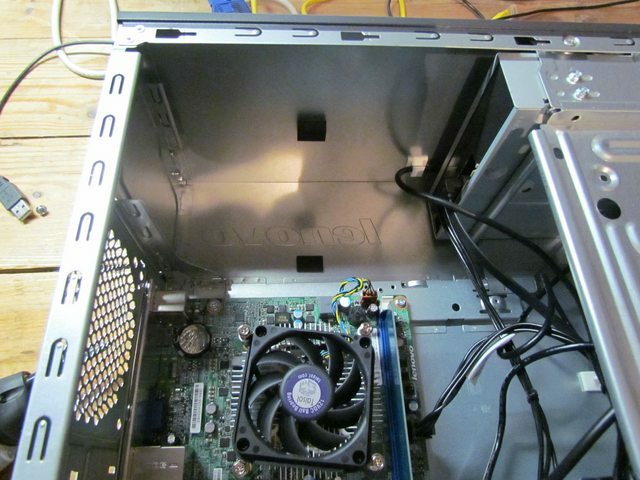 So if you get one, there is a small yellow plug on the board itself, I think may be a ITX type. Last edited by David McMahon on Wed Oct 29, 2014 3:52 pm, edited 1 time in total. Please post a pic of the PSU in question. Thanks, Scott. PS: Smaller pics would make the topic more readable. 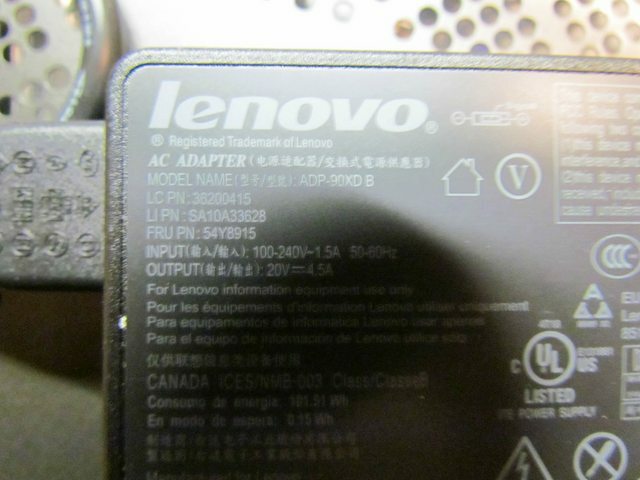 Looking at the model on sale on this website, the only clue for potential buyers that it has a laptop style PSU, is the mention of an 'AC adapter' in the 'Box contents' near the bottom of the page. There doesn't appear to be any other indication that it doesn't follow normal ATX standards, in what looks like a standard desktop case. A similar non-standard PC design, from HP, is featured in this video by Carey Holzman, who is extremely critical of it! When I first opened the box I considered the PC to be a barebones as the ATX PSU mount is still present with a fascia panel! 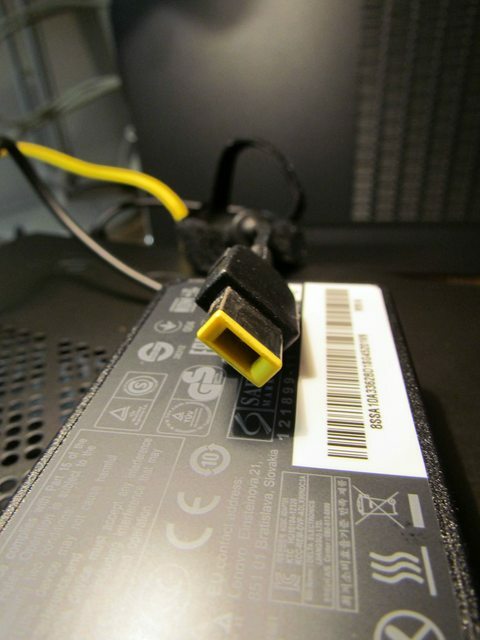 The Motherboard does not have an ATX connector, nor any upgrade (PCI-e, PCI or similar connectors. Also only has one RAM slot. While the power delivery is somewhat non-standard, the chassis and other parts all appear to conform to ATX form factors, meaning should that motherboard ever fail a suitable replacement (along with a standard ATX PSU) could easily be found. Scott. There are worse things in the world! It occurs to me that if the PSU fails, replacement is now a tool free and an (almost) dust free job! Actually a DC PSU is a decent way to go if it can provide enough power to power a system (and is built well). Most desktop users do not need much to surf the web, email, word process and maybe massage images from the family vacation. Easy to achieve that on 160W or less, especially with today's efficient yet powerful components. 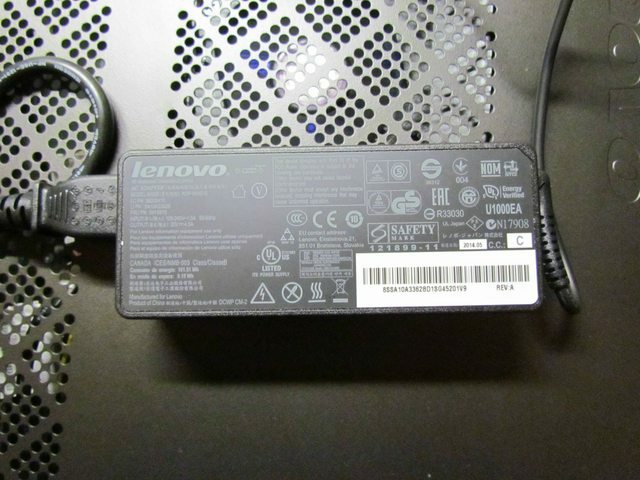 I like this a lot better than those proprietary 18-pin 12V PSU's and MB's Lenovo is using in a lot of their desktops nowadays. Also crossed my mind that it can be a simple security measure. Leave the office with the "brick" and no one can quickly turn the thing on.